Rob Fryer, a New Canaan resident for 30 years, has run over 100 marathons. NEW CANAAN — A journey, or two, of 26.2 miles starts with just one mile a day. At least that’s how it was for Rob Fryer, the London-born New Canaan resident of 30 years, who has ran over 100 marathons and ultramarathons since he first started competing. The 71-year-old still logs 30 kilometers per week and is an active volunteer in the New Canaan community. 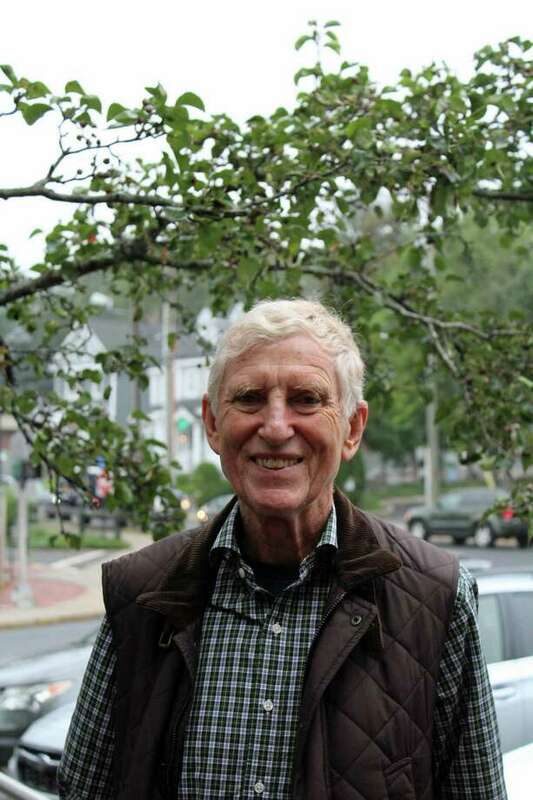 He is a board member of the New Canaan Community Foundation and the New Canaan Land Trust. His first foray into local politics last year saw an unsuccessful bid for town treasurer, though he said it was an enlightening experience. Fryer reminisced on his passion for running and other activities. Q: So, how much have you run? A: If you count marathons and ultramarathons, I’ve done 120 of those. I started in 1974, and for the next 31 years I did at least one marathon a year, then took a break for a year or so. I did as many as 10 some years, but some of them would have been training runs because if you’re doing races like the Comrades Marathon (89 kilometers) or regular marathons, you need a training route and regimen. Q: How did that start? A: I started running as a 27-year-old. I didn’t know I’d become a marathon runner. I started running when I was 27 mainly because by then all I did for sport was swimming and playing doubles tennis, but in doubles tennis you don’t really run. It’s a nice outdoor recreation, but there’s no real physical exercise. I was having a beer with a colleague who used to run a mile every day, and so he said, ‘Why don’t you join me?’ So I started running with him in the mornings a mile every day, and then two and eventually all the way to five miles. From there, I met people who were running marathons, and that’s how I got into that. Q: What are some of your most memorable races? A: When I was 28, I ran the Comrades Marathon for the first time in South Africa. In terms of participation, it’s reputed to be the largest ultramarathon in the world. It has something like 15,000 participants each time and has a long history. It was started in 1921 by first World War veterans. The first one I ran in 1975 was actually the 50th edition. It was the most amazing experience to train for and go through injuries to finish something like that is great. I’ve done other big races like the New York Marathon, which I’ve done five times, and the Boston Marathon four times. The last marathon I did — besides the 50k last year — was the 2013 Boston one. I had just finished the race and I was about 50 meters from the building from where the bombs went off. The ground shook — it affected me and I wasn’t inclined to go back. I haven’t run a major city marathon since. Q: What have you learned from running? A: The lesson to me is if you keep in shape, eat sensibly and exercise regularly — swimming, running or just going to the gym — you will just enjoy life better throughout the years. This year I’ve taken it easy, but you just can’t keep hammering away year after year. I run about 20 miles a week. Q: What are some of the things you do in the community? A: In the last four years, I joined the board of the New Canaan Community Foundation, a wonderful organization that helps residents achieve their philanthropy goals, like raising money and give it to charities that are focused on community outreach in town and Stamford and Norwalk. More recently, I joined the New Canaan Land Trust, which protects open space. I’ve been a volunteer there for about four years and a board member for the past two years. Last year, because of my background in finance, I ran for town treasurer and though I didn’t win, one of the best parts of that is that I enjoyed it. You get to meet wonderful people in the community and to talk one on one with them about what’s on their mind. Sometimes you think you’ll chat for two minutes and sometimes you stay for more time.